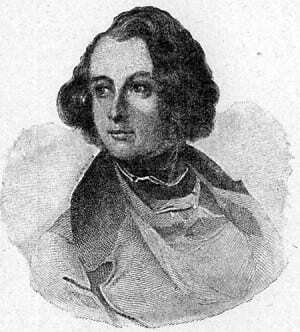 Charles Dickens celebrates his 200th birthday today. The master of English literature was honored in Westminster Abbey where Prince Charles went a laid a wreath on the famous author’s grave. Dickens’s great-grandson Mark Dickens and famed Dickens biographer Claire Tomalin where also in attendance at the late author’s final resting place. Dickens is barred along side literary giants such as Geoffrey Chaucer, Rudyard Kipling and Samuel Johnson. Much of Dickens works deals with the injustices of Victorian Society. “This bicentenary should help renew our commitment to improving the lot of the disadvantaged of our own day,” stated the Dean of Westminster, John Hall, referring to Dickens’ preoccupation with inequality and poverty. Dickens is best known for his novels “A Tale of Two Cities” (1859), Great Expectations (1861), “A Christmas Carol (1843) and David Copperfield (1850). But, what many don’t know is that Dickens spent the early half of his career not as a novelist but as a journalist, working for the “Morning Chronicle,” reporting on parliamentary debates and election campaigns across Britain. The British Council held a 24-hour global reading marathon with 24 excerpts from 24 Dickens texts. The “read-a-thon started in Australia and will include countries such as Iraq, China and Pakistan. Charles Dickens was born in 1812 and died in June of 1870 at the age of 58, and 140 years after his passing there seems to be no lull in the amount of ardent fans that fall in love with the gracefulness of his style and the beauty of his vision.